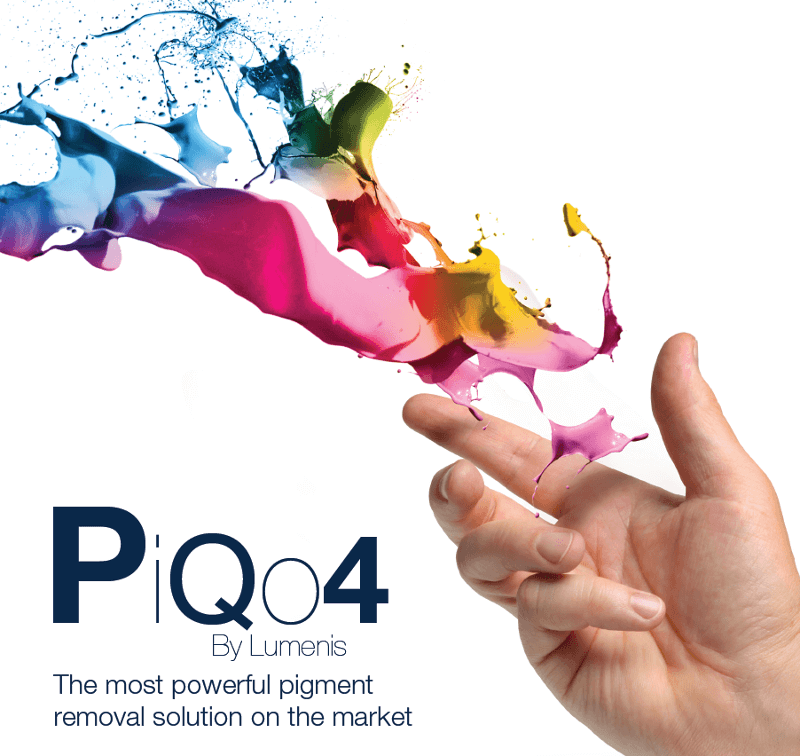 Lumenis Ltd., the world’s largest energy-based medical device company for surgical, aesthetic, and ophthalmic applications, proudly announces its newest launch, PiQo4 – the most powerful advanced laser technology for tattoo removal and pigmentation. The technology will be showcased at the 37th annual American Society for Laser Medicine and Surgery (ASLMS) conference in San Diego, CA from April 5th – 9th, 2017. The Lumenis PiQo4 provides versatile tattoo removal that yields truly remarkable results as it treats a wide range of pigment colors, and has an adaptable energy matrix to ensure effective shattering of pigment deposits. PiQo4 offers dual Nano + Pico technology, a combination of energy types offering the user versatility and the ability to optimize treatment parameters to maximize results. PiQo4 features a unique combination of high power output, four wavelength to target nine of the most common ink colors and the largest spot size on the market, allowing it to effectively reach deep pigments in both new and old tattoos. The introduction of the system signifies an important advancement in tattoo removal technology, enabling the physicians to remove multicolor tattoos in a couple of short treatments. PiQo4 treats a wide variety of skin conditions in addition to tattoo removal including treatment of pigmented lesions, lentiginous, cafe-au-lait birthmarks and vascular lesions. The PiQo4 offers a non-thermal option to skin resurfacing and discoloration and with 72% of consumers seeking to correct skin texture and/or discoloration (according to the ASAPS), this latest innovation allows physicians to offer an effective solution to the growing demand in the market. Introducing this latest technology aligns with Lumenis’ vision to provide better technology for better patient care through innovative energy-based solutions. In an effort to help scar patients around the world, Lumenis is introducing HopeForScars.com, an online resource intended to provide patients and healthcare professionals with comprehensive information about scars and treatment options available, including the Lumenis UltraPulse®, which is quickly becoming the standard of care for scar patients around the world. One of the patients who benefitted from the UltraPulse treatment for scars is Kim Phuc, an iconic survivor of the Vietnam War Napalm bombing. Kim was treated by her physician, Dr. Jill Waibel, with the Lumenis® UltraPulse®. On Friday, April 7th, Kim Phuc will be the keynote speaker at “The Kim Phuc Story & The Road to Healing Through the UltraPulse™ Scar Revision,” a plenary session held in Hall F from 10:30 AM – 12PM. In addition to her session, Kim and Dr. Waibel will also be available for discussion and interviews throughout the conference. For more information about the Lumenis family of products, please visit the Lumenis booth (#417).